Maldives President Abdulla Yameen lifted a 45-day state of emergency on Thursday, a day after senior political opponents were locked up indefinitely for allegedly trying to topple him last month. The US on Friday said it remains concerned about the developments in the Maldives, even though the State of Emergency in this island nation has expired. 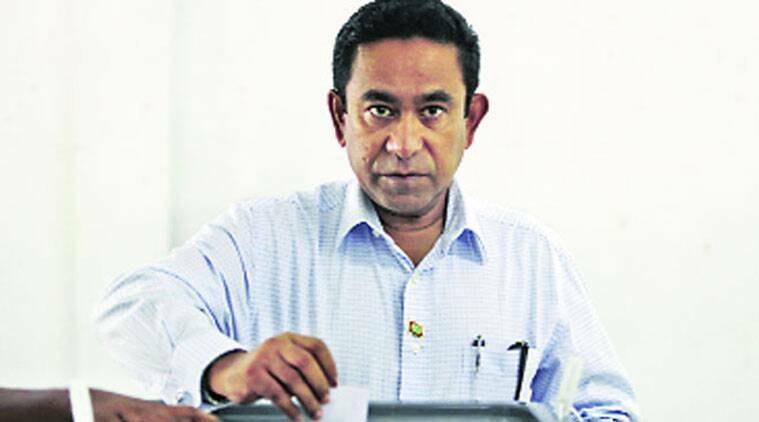 Maldives President Abdulla Yameen lifted a 45-day state of emergency on Thursday, a day after senior political opponents were locked up indefinitely for allegedly trying to topple him last month. “Though the State of Emergency declared by President Yameen has expired, we remain concerned about developments in the Maldives,” a State Department Spokesperson told PTI. “We continue to call on President Yameen and the government of Maldives to uphold the rule of law, release political prisoners, respect the constitutionally-guaranteed legal protections and rights of all Maldivians, permit the full and proper functioning of the Parliament and judiciary, and abide by Maldives’ international human rights obligations and commitments,” the spokesperson said. President Yameen’s decision not to extend the draconian laws he had invoked on February 5 followed a Supreme Court ruling that threatened to lead to his impeachment.